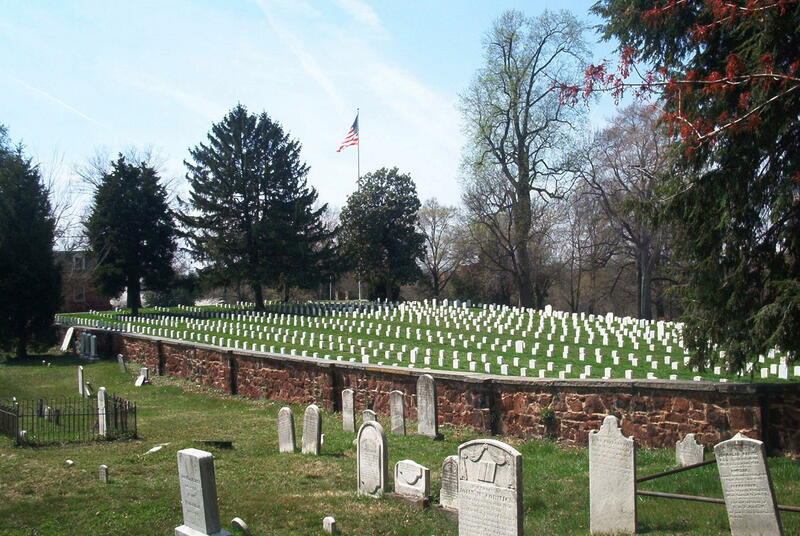 While neither as large nor as famous as its nearby neighbor in Arlington, the Alexandria National Cemetery is the final resting place for nearly 3600 Federal soldiers. The cemetery of Trinity United Methodist Church is in the foreground. 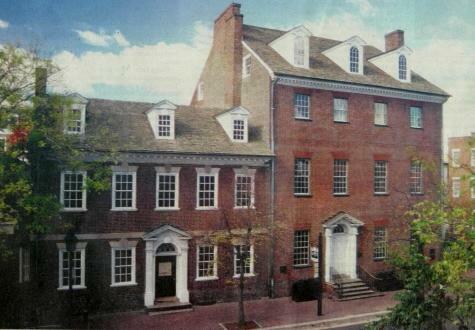 Built in 1752, and long known as the City Tavern, George Washington recruited for his first command in 1754, and used it several times as headquartgers during the French and Indian War. John Wise, who bought the City Tavern in 1792 and built the addition, was suc as host two years later by John Gadsby, an Englishman. 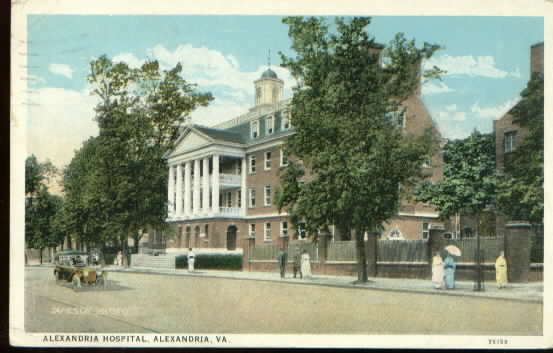 Washington attended two birthday celebrations here, one in 1789 and his last in 1799. The townspeople gave General La Fayette a brilliant reception here in 1824. Today it's a museum, on North Royal Street.